It’s that time again! Sam’s Scores is back with another set of scores from my thrift store adventures! Also, thanks to Will once again, I have a new logo and a small layout change! Lately the thrift stores haven’t had much to offer in favor of holiday decor, which is odd because after all it is Christmas time! I’m hoping after the holidays all the good stuff hits the shelves so I can continue to bring you great scores. But mostly I just enjoy getting cool stuff cheap! 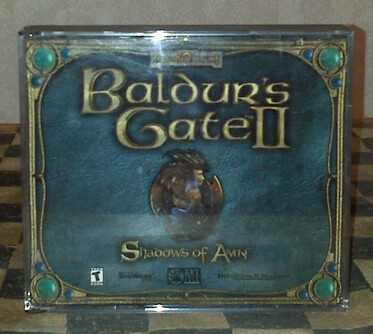 I’m not a PC gamer by nature and even less of a D&D fan, but I did know enough about Baldur’s Gate II that when I saw it in a toy bin at a local thrift store, I checked it for all the discs and make my purchase! 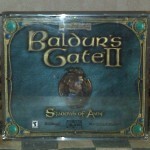 Now this might seem a little questionable for TVG, but lets not forget Baldur’s Gate II has a large following in the RPG community and it’s 10 years old. 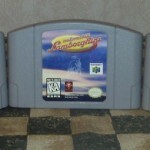 The day I bought my Nintendo 64, all I had to play was Zelda: Ocarina of Time so I decided it was time to hit the thrift stores! That day I found three more games: WCW/NWO Revenge, Automobili Lamborghini and Top Gear Rally. Needless to say, I wasn’t bored that night! When I’m out hunting, I always keep my eyes open for anything with video game branding on it; Atari, Nintendo, Sega, etc. 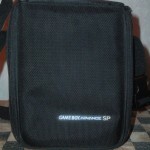 I especially love finding things other gamers might overlook, like carrying cases. 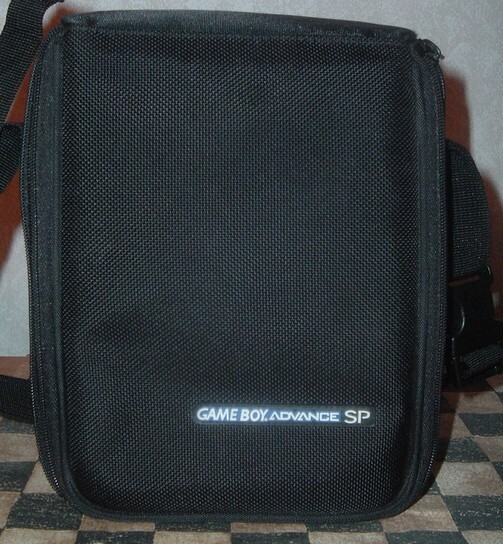 This is a rather large Gameboy Advance SP carry case. It holds the system, charger, about 6 games and still has some room! This one was in great shape and was a great price! 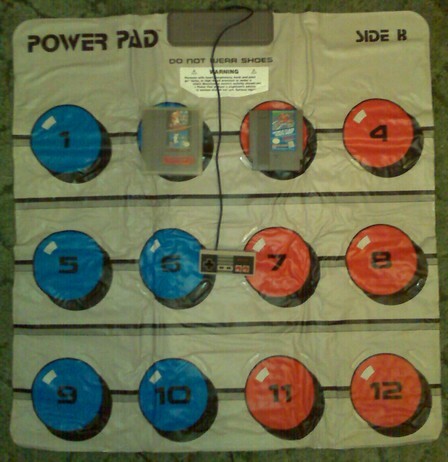 Although game controllers maybe getting harder and harder to find, it’s not impossible if you look in the right places. 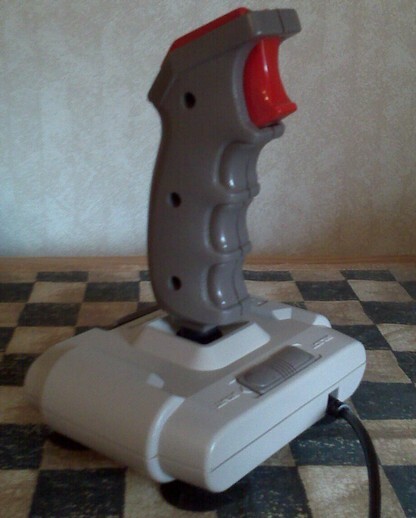 I happen to find what I originally thought was an NES Quickshot. Essentially it is (it even says so on the PCB) but this one was built for Radioshack. 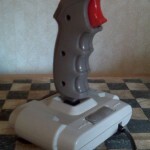 It’s a joystick with integrated A and B buttons, start and select on the base as well as a turbo switch! Lately ebay is a scary place, so I try to avoid it all together. 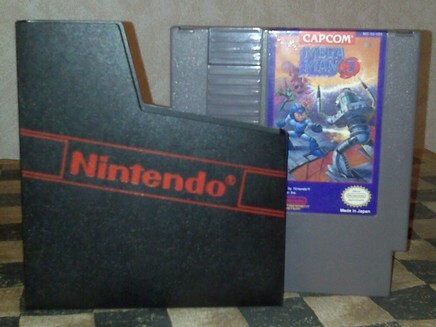 But earlier this year I purchased an NES Advantage and my experience both re-enforced my fears and worked out in my favor due to seller error (I’m being liberal with kindness here). The seller didn’t send out my package until almost 3 weeks after I made payment, so to make up for it, I got 2! 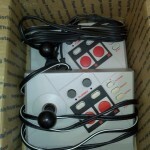 NES Advantage Controllers x2 -$4.75 shipped! 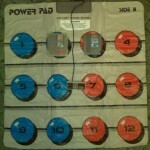 This is another rare purchase from Craigslist. 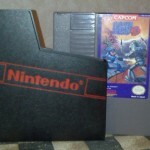 The seller was accepting offers for an NES Power pad and Track Meet game cartridge (with case). I sent the seller my offer and after speaking with them for a bit, they threw in an NES controller and Super Mario/Duck hunt cartridge! 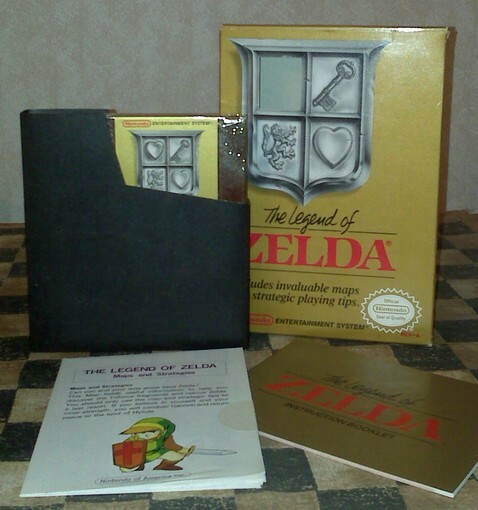 As you may have seen previously, I purchased a complete in box Zelda: Ocarina of Time for extremely cheap! 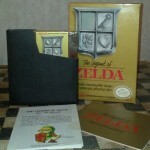 Again, I found another Zelda game complete in box, this time it was The Legend of Zelda for the NES. 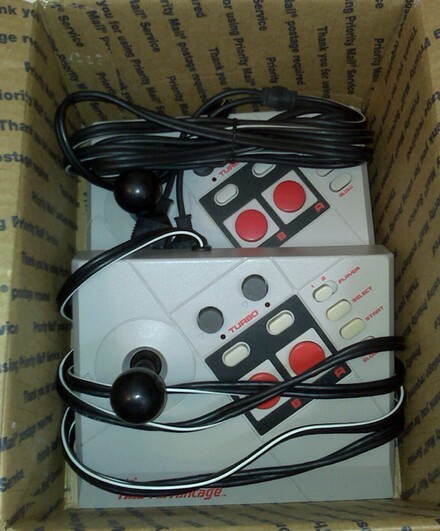 Everything inside the box was near mint, all that was missing was the shrink wrap and the box has slight shelf wear.